One of the relics of the Soviet times in Russia, the Lenin mausoleum in the Red Square, is to be closed for visitors for a two-month break. 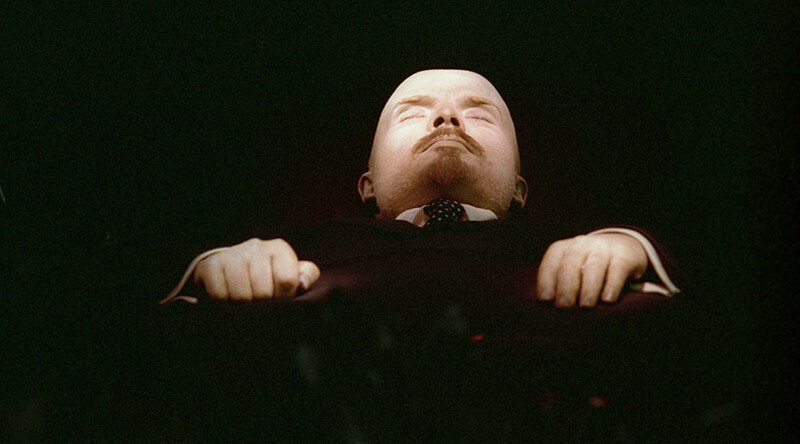 The preserved body of the Bolshevik leader will be subjected to maintenance. The mausoleum, an iconic Soviet pyramidal brown and black marbled structure next to the Kremlin, will be closed to visitors between February 16 and April 16, the Federal Protection Service, which is responsible for defending the Kremlin from potential attacks, told Interfax. It will be a scheduled closure to conduct necessary maintenance of the centerpiece of the exposition, the preserved body of the Bolshevik leader. Lenin’s remains need to be bathed in chemical solutions from time to time to prevent dehumidification. Mausoleum workers also use such breaks to change the suit worn by the body. The maintenance comes ahead of the 100th anniversary of the Bolshevik revolution, which will be marked in November. 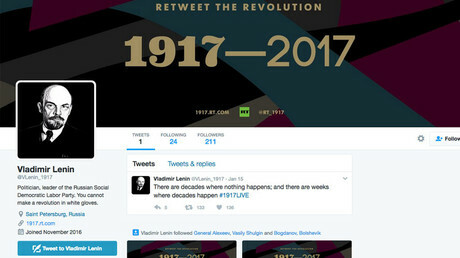 RT is marking the anniversary with a large-scale #1917LIVE project aiming to tell the story of the Russian Revolution through real-time tweeting from accounts in the names of all the key historical figures of that time, such as Lenin, Stalin, Kerensky and Tsar Nicholas. The Soviet government made the decision to preserve Lenin’s body after his death in 1924. The Bolshevik leader’s health deteriorated in his last years of life, sparking an undercover struggle among fellow party members, which may have affected the fate of his remains. Josef Stalin is credited with being the first to suggest a permanent preservation, a move quite alien for either traditional Orthodox Christianity of Russia or anticlerical materialism of the Bolsheviks. Another theory says that Leonid Krasin, a prominent Bolshevik party figure and a strong advocate of preserving Lenin’s body, believed that scientific progress would eventually allow the resurrection of dead people and hoped that Lenin could be brought back to life one day. The body initially was subjected to regular embalmment and laid in a temporary wooden mausoleum in the Red Square. The winter cold helped slow down decomposition, although by the time the decision to keep Lenin’s remains on display rather than bury them, they were far from being in perfect shape. The first preservation plan went along cryogenic freezing lines and the Soviet government even ordered the necessary equipment from Germany. But a chemical procedure performed by biochemist Boris Zbarsky and anatomist Vladimir Vorobyov was chosen instead. The treatment was a pioneering one and Vorobyov was reluctant to use it, fearing the results would be discouraging – and potentially lethal for the developers, considering how ruthless the Bolsheviks had proven to be by that time. His fears, however, turned out to be premature. The procedure the two scientists used managed to reverse some of the cosmetic damage to Lenin’s body and laid the groundwork for an entire research institution, which was tasked with taking care of the remains. Researchers contributed their expertise to other nations, such as China after the death of Mao Zedong. After the USSR collapsed, the institution was downsized, but a small lab continues the work. Occasionally a public discussion restarts in Russia on whether Lenin should be finally buried in accordance with Christian tradition – and the wishes of his widow, who spoke against the preservation. The Russian Communist Party objects to such a move.